this city’s character can best be captured by staying not only in one spot, shall we say Santa Monica, but in different ones. And of course, one visit to this metropolis is not enough to get a feel for it. Coming from Cambria after leaving northern California (Mendocino, San Francisco hotels/restaurants/activities), we decided to go to Palms Springs in the southeast first, then to Laguna Beach in the south and finally to the core, Beverly Hills. In the hindsight, I would not recommend this itinerary to other travelers – especially the first part – as it involves a lot of driving through a traffic hell, more to it later on. But we took this choice because the last two times we had stayed in Santa Monica only and needed a change. Before going into details of where to stay and eat and what do in the four mentioned places, a few facts about Greater Los Angeles. 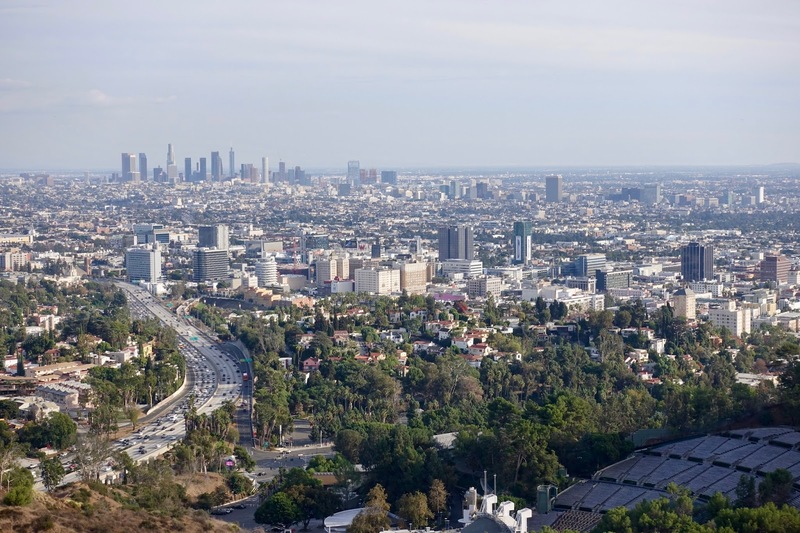 Los Angeles is different from most other American metropolises because it does not have the typical city’s core in terms of an important central business district. Of course, there is Downtown Los Angeles, but until recently it was just an area in decline. Fortunately, this development came to a stop and Downtown is now in a revitalization phase. Further, there is no “Manhattanization” of Los Angeles’ core with only a bit more than a dozen towers more than 170 meter (550 feet). Finally, densities are not the highest in Downtown, but they are especially high within an 8-km (5-mile) radius of Los Angeles’ core. 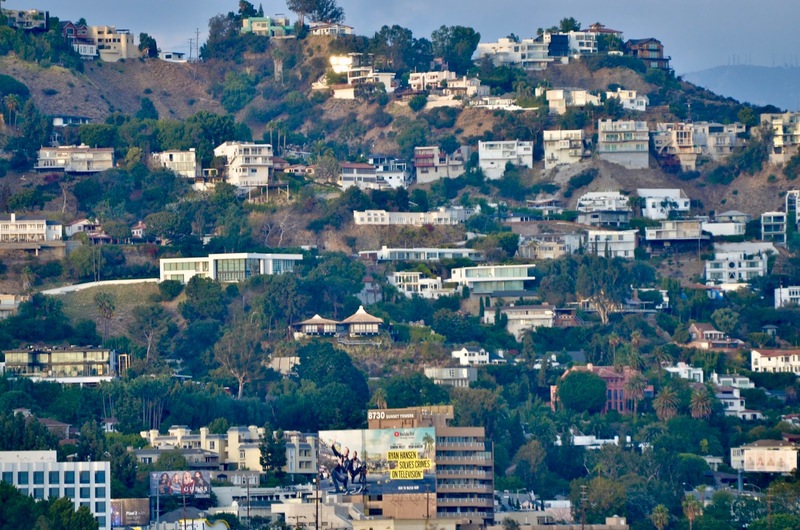 In sum, Los Angeles is characterized by decentralization, it has a long history of sprawl. The city spread and is still spreading like tentacles in all directions although lately not as fast as in the past. This development is accompanied with issues when it comes to a regional identity, e.g. people in Laguna Beach consider themselves as part of Orange County but not necessarily of Los Angeles. Greater Los Angeles embraces 5 counties: Los Angeles County, Ventura County, San Bernardino County, Riverside County and Orange County, from which the latter is the only one known as a term and is at the same time the most developed urban area. With about 18 million inhabitants Greater Los Angeles is the second-largest urban region in the U.S. after the New York metropolitan area. It is more or less completely urbanized from Ventura County in the north to the southern border of Orange County and from the Pacific Ocean to the Coachella Valley in the east. 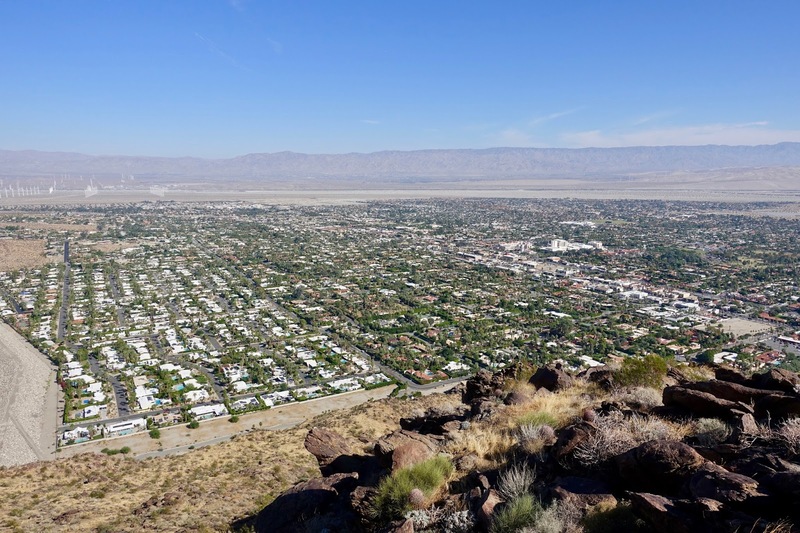 Even the regional definition of Greater Los Angeles had to be extended recently to include the Coachella Valley cities of Palms Springs and Palm Desert! Los Angeles is known for many of its particularities. It is the entertainment capital of the world, it is supposed to have the perfect climate – mostly sunny and warm, with low humidity and little rain – , it is a cultural mecca with an abundance of museums and it has a diverse, multiethnic population (Hispanics are the majority here). But there is also a downside, which is connected with the above mentioned decentralized structure, the traffic, probably the problem number one in Los Angeles. Los Angeles has been known for bad traffic for decades now. I vividly remember my first visit to this city in the late 1980s. It was difficult to get around at the time, but now it is a nightmare! 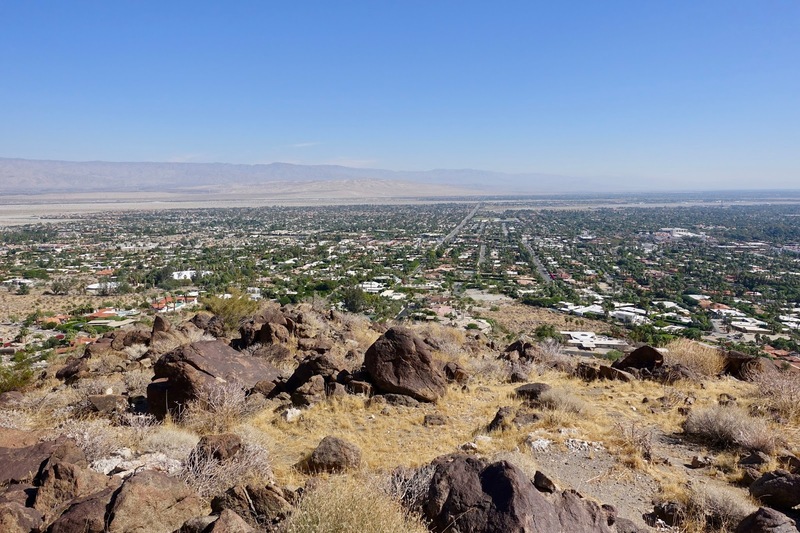 When my husband and I drove from Cambria in Central California to Palm Springs in the Coachella Valley (southeastern part of Greater Los Angeles), it was a horrible experience, and it was not even a workday. For about 4 to 5 hours we drove amidst masses of other cars in 5 to 7 lanes all completely full yet still moving. I sat on the passenger seat, feeling like being paralyzed and had only one thought: one driver makes a small mistake and tragedy strikes! But now to the facts when it comes to traffic in Los Angeles … According to INRIX this city tops the list of the world’s most gridlocked cities for the 6th straight year, with drivers spending 102 hours in congestion in 2017 during peak time periods! My advice is it not to undertake long crossings in the area such as from the north to the southeast as we did. It may be better to drive from the north to the south along US 1 and then heading to Palm Springs from the southern border of Greater Los Angeles. That said, you need to have time to do so, slow drive analogous to slow food! After this excursus on the Greater Los Angeles’ particularities, now to the actual topic of this post, my tips for hotels & restaurants when traveling in style and activities to get to know the place involving walking as much as possible. As mentioned before I listed my favorite things to do, and this in the form of a Google Map. 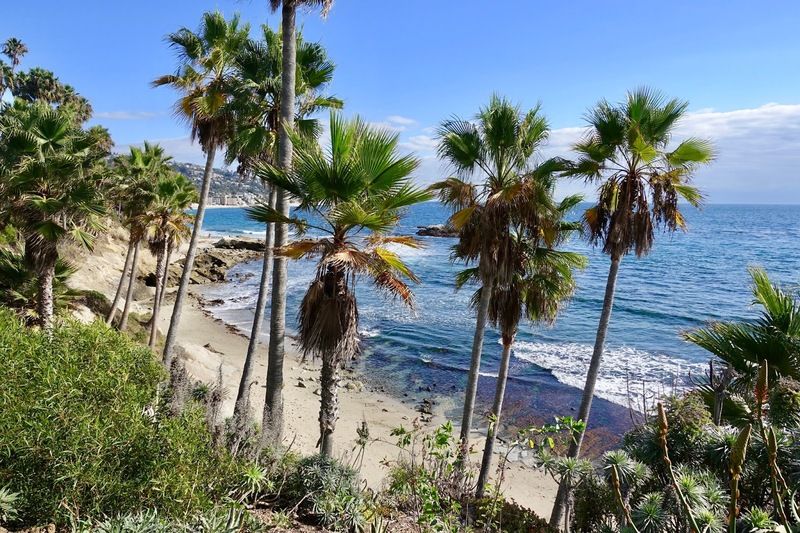 For each of the 4 recommended places to go, Beverly Hills near the core, Laguna Beach in the south, Palm Springs in the southeast and Santa Monica in the center on the Pacific Ocean, you find my suggestions where to stay & eat and what to do. I will say a few words to every place, but I will not go much into details as all the important information plus pictures (if available) can be found on my Google Map. 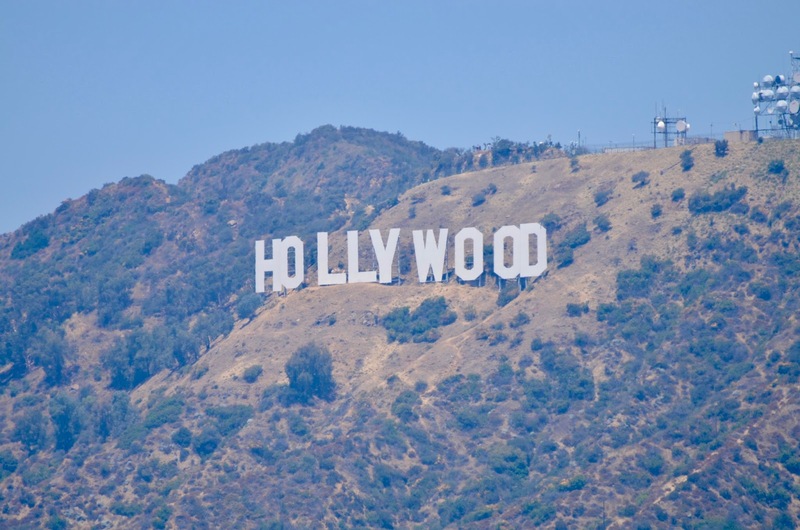 The independent city of Beverly Hills (not part of Los Angeles) is known as home to many Hollywood stars but also “normal” people although rather affluent ones live here. I noticed this when walking by foot from our hotel to the 1920s Greystone Mansion whose visit is well worth doing. A sight you should not miss is the Getty Center. Although it is not located in Beverly Hills, it is not far away (20min by car). Not only is the building a feast for the eyes but also the garden and the works of art are impressive. In addition, you have splendid views of Los Angeles from here. If you like hiking, Runyon Canyon in the middle of Hollywood (about 20min by car) is said to offer several great hiking trails with stunning views of Los Angeles. 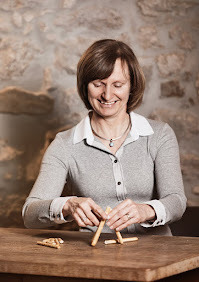 Unfortunately, we did not have the time to do it, but it is on our list for the next stay! When staying in this seaside resort town south of Los Angeles (1h15min from Downtown LA), you get a feel how life is in South California is when being rich and beautiful. There are many good hotels and restaurants as well as parks where to walk (Heisler Park) and to hike (Crystal Cove State Park). If you want to do sightseeing in Los Angeles’ city center, this may not be your first choice (too far away). The same as just said to Laguna Beach is true for this resort city in desert valley (1h45min from Downtown LA). Do not visit this place in summer if you want to do more than sunbathing because it is simply too hot for anything other. Here you find stylish hotels and great dining-spots as well. An interesting feature is also its midcentury-modern architecture (e.g. Palms Springs Rendezvous Hotel on my list). Palm Springs is also a hiking paradise. The North Lykken Trail (see map) is a fine example with wonderful views and varied terrain. 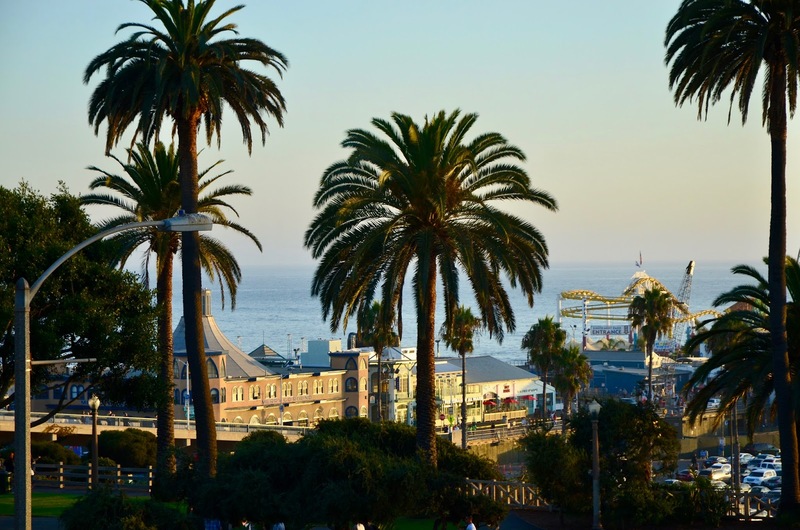 You have a bit of everything, when opting for the city of Santa Monica for your stay in Los Angeles. 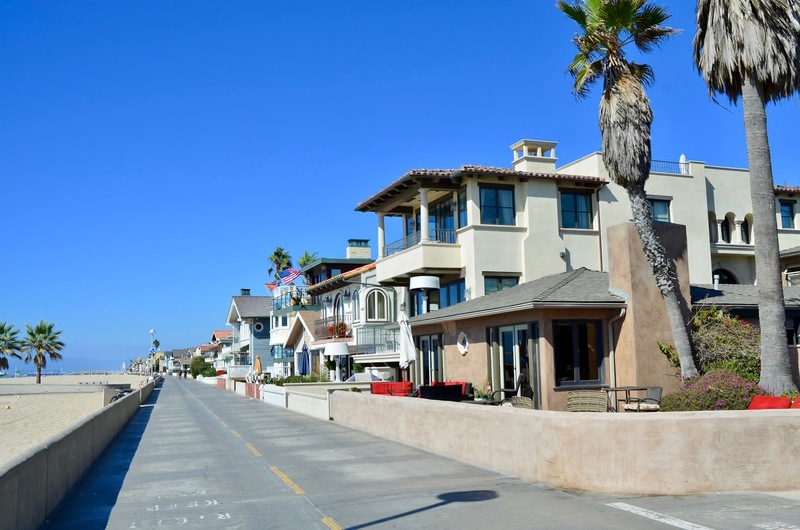 It is on the beach, but also relatively close to major sights (50min from Downtown LA). 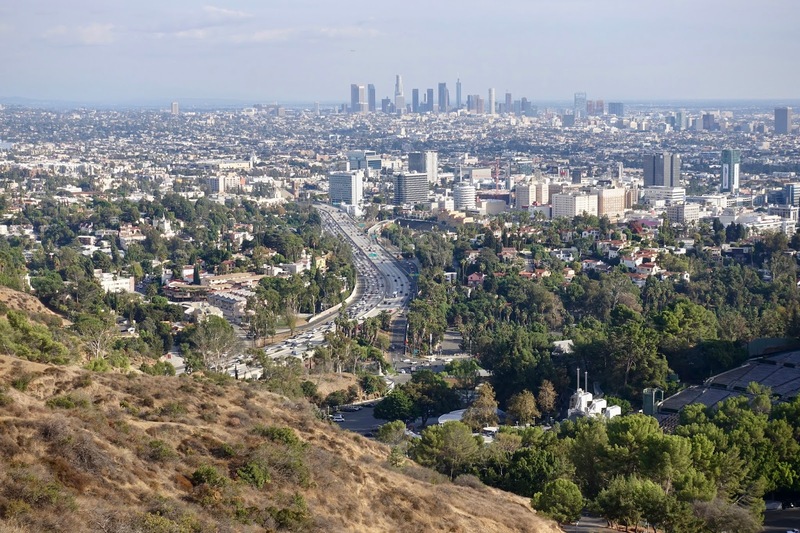 Just as Beverly Hills, it is an independent city and has quite a diverse population, it attracts the rich & famous but also middle class, hipsters and students likewise. Hotels and restaurants are abundant here, although I do not think that the high-end lodging establishments offer enough value for money. The best thing to do here for getting the real California feeling is to bike along the Marvin Braude Bike Trail, which is directly on the beach and 26 miles long. You pass different beach towns such as Venice Beach, Marina Del Rey or Manhattan Beach; it is really a must-do activity even when not being into biking (as I am). If you wonder where to go as a first-timer and having enough time for two stays, I would opt for Santa Monica and Palm Springs. In case you have little time, go to Santa Monica only. 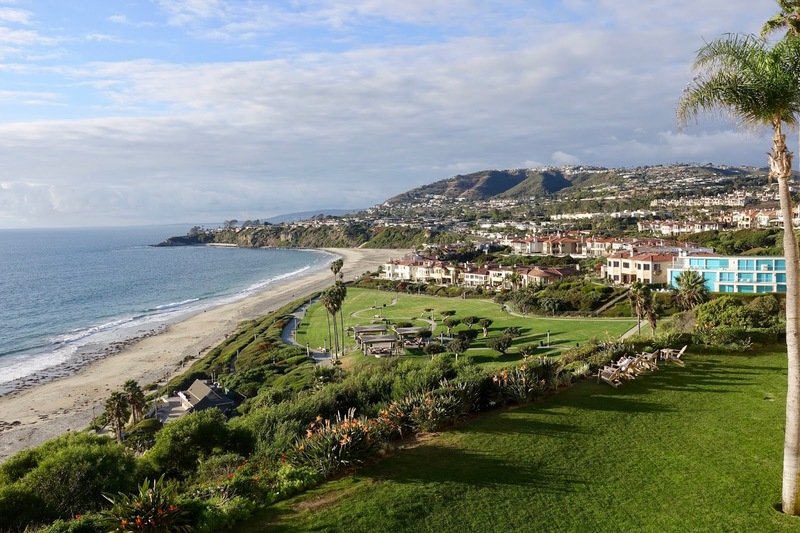 As a returning visitor, it may be a good thing to combine Laguna Beach and Beverly Hills, enough time provided. If this is not the case, go for the latter when favoring an urban area and for the former when seeking a fashionable beach town. 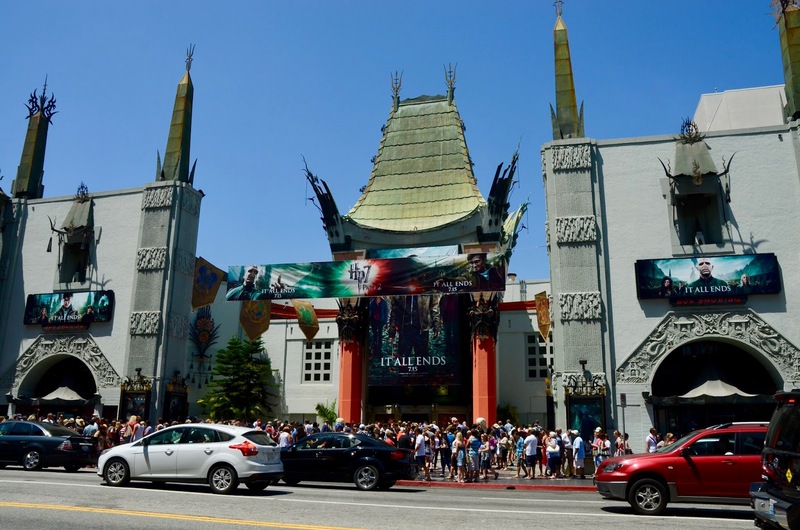 Although Los Angeles is a “hard nut to crack” for travelers looking for the ideal place to stay and the "right" things to do here, it should not keep you from trying. My best advice is it to allow enough time for your Los Angeles adventures. Sometimes better than using the notoriously clogged freeways is it to go for ordinary city streets (in LA called surface streets). If you are unsure where to stay and have limited time available, give Santa Monica a shot. From here, you can explore quite a few of Los Angeles’s highlights and the town itself is accessible and compact. Most spots of interest are within a few blocks, there are many fine hotels and restaurants and the best thing to do in Los Angeles in my view can be found here, the biking path along the beach, which gets you as far as Torrance, 26 miles away, but consider the way back! My last post in this series about a Californian trip along the coast from north to south will be about San Diego. Of all major cities visited in California, this is the one that I know least about. "Only" 3 of my 8 Californian trips went here, but I think enough to get a feeling for it.